Landscape Use: Small-scale clumping aloe for bold textural accent in planting locations ranging from full sun to partial shade, small scale ground cover or edging plant for succulent or rock gardens, great patio container plant or walkway plant. Form & Character: Succulent, slowly clumping, mounding, stiff, tight, and adorable. Growth Habit: Evergreen, herbaceous perennial that spreads slowly by surface stems. Foliage might extend to 2 feet above the ground surface. Foliage/texture: Basal clumps of succulent, pointed, elongated, triangular grayish green leaves, leaf margins reddened; coarse texture. 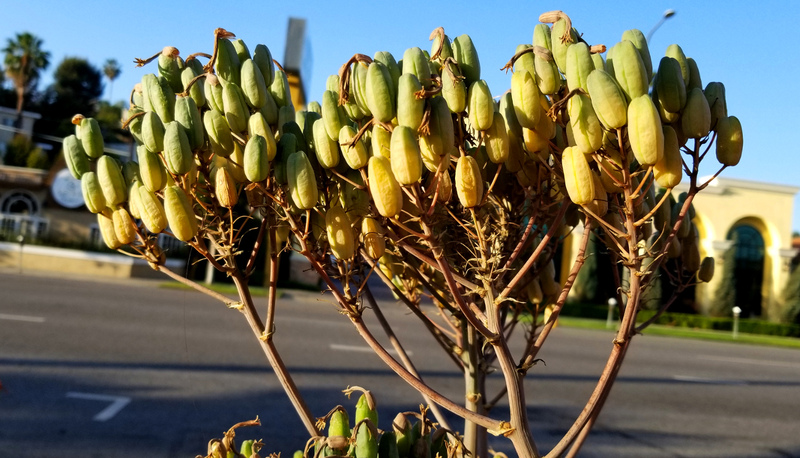 Flowers & fruits: Beautiful umbellate arborescent coral colored flower spikes to several feet tall; fruits are green and multi-carpulate, are on long, branched stalks, and are not particularly showy. Seasonal color: Brilliantly colored coral orange flower spikes during late winter/early spring - typically February in Phoenix. Temperature: Like most aloes, coral aloe is intolerant of freezing temperatures. Light: Light shade including protection from western afternoon sun is best in Phoenix. Watering: In Phoenix, give coral aloe infrequent supplemental water especially during the hot summer months for best performance. Pruning: None except to remove flower stalks in spring after bloom. Otherwise, divide and separate vegetative clumps every 3 to 5 years in maintain vigor and control spread. Propagation: Easy to propagate from seed which germinate easily if sown in well drained soil and are covered lightly with fine sand. Division of clumps every few years is also "a peice of cake"- it's so easy! 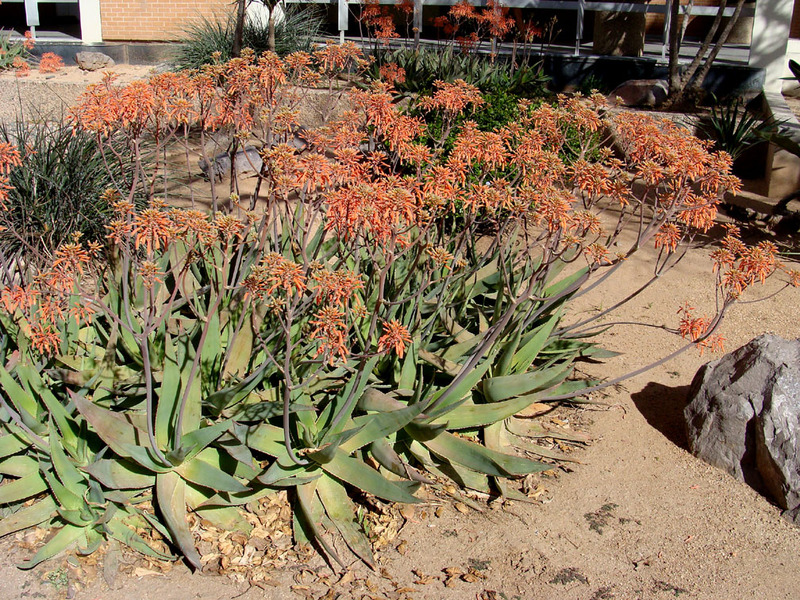 Additional comments: Coral aloe is a cute, medium-sized, clumping aloe for smaller spaces in urban desert landscapes where its unique visual qualities can be showcased up close. Like all Aloe species, coral aloe attracts hummingbirds when in bloom. The name "striata" refers to the red longitudinal lines on the leaf margins of this species. 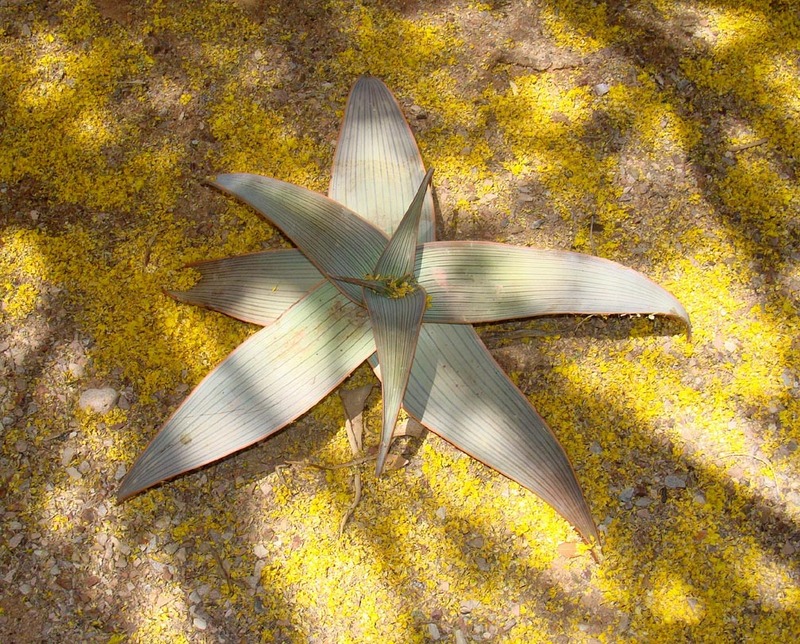 In it's native habitat, Aloe striata is comprised of three subspecies, subsp. karasbergensis and subsp. kommagasensis which are both more difficult to grow than the subsp. striata which is the one that has been cultivated around the world as a herbaceous garden plant.